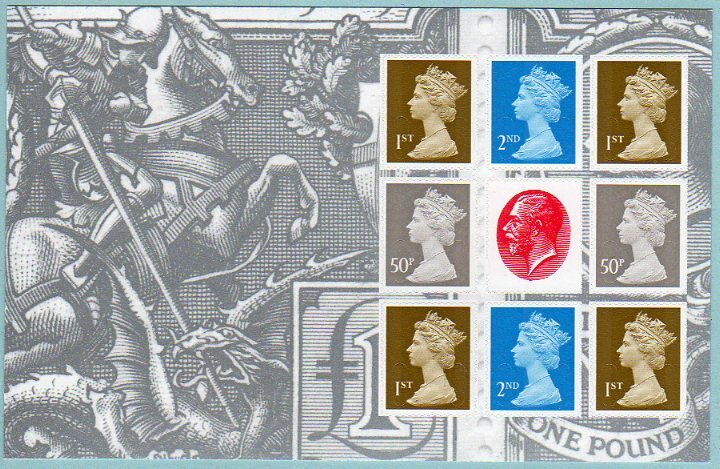 King George V PSB Types - what's the distribution pattern? I've received some more King George V Prestige Stamp Books from Tallents House, and found that a sealed pack of 10 contains a mix of types A & B self-adhesive panes. What experience have other collectors/dealers had? Out of the packs I looked at during the London 2010 show most had NO type B panes. Only a very few packs had maybe one book with a type B pane in it. One pack I did look at had two type B pane books. So I would say type A panes were the more common type at that time. Thanks BM. Interestingly I've had people asking for type A as they couldn't find any, and I had no spare type A booklets until now. My earliest deliveries from Tallents House were all type B books.